Here are some helpful things you should consider when choosing the right style of martial arts for you. Plus useful tips and warnings and mistakes to avoid when choosing a martial arts school or teacher. 1. Set a budget. Some arts require a significant investment in equipment. For example, Kendo armor can run up to $1,000 US for a high end set, while Karate requires only a white cotton uniform. There's no point in getting interested in something you ultimately can't afford to do. 2. Determine your ultimate objective. The four major categories are usually as follows. (a) Health & Fitness with martial efficacy as a subordinate benefit. (b) Martial skill as the primary concern with a nice side dish of discipline and health & fitness. (c) Being part of a heritage and cultural tradition stretching back hundreds or thousands (depending on the art) of years. (d) Winning trophies in sporting events. 3. Decide on a martial arts style. You might choose a hard style, such as Muay Thai (Thailand) or Western Boxing, a semi-hard style such as Tae Kwon Do or Hapkido (Korea), a soft style traditional art, such as Aikido (Japan) or one of the many Kung Fu styles (China), or a grappling/ground fighting art, such as Jiu Jitsu (Brazil/ Japan) and Western Martial Arts (Europe). Do you want to compete one-on-one in the ring with opponents who use the same style as you, or study the traditions of a particular culture's martial art, or learn to defend yourself against real-life attackers on the street? The training methods are vastly different, and most martial arts schools focus on one aspect. Any school that purports to make you the king of the ring plus a fully effective battleground warrior plus healthy and fit plus part of a cultural heritage is heading for "Jack of all trades and master of none" territory. 4. Recognize your physical limitations. If you are older or not very acrobatic, Wushu (China) probably isn't for you, but Tai Chi (China) might suit you nicely. Furthermore, recognize that striking martial arts like Karate or TaeKwonDo may or may not be well-suited for smaller physiques. The grappling styles of Judo, Aikido, or Jiu-Jutsu, while being close-combat styled martial arts, emphasize technique and leverage and therefore become more readily useful as you progress. Likewise the combative Chinese styles are all about technique and are less dependent on your being a particular height or weight to succeed. 5. Consider your cultural interests. If you have a respect for or interest in a certain culture, learning more through one of their martial arts can be a great experience. If that is part of your goal, choose a school taught by a native of that culture, or someone who trained directly under someone of that culture. 6. Consider the effectiveness of the martial art as well. For example, a modern martial art such as Krav Maga (Israeli), reconstructed Western Martial Arts such as ARMA or the AES (European) or classes led by experienced soldiers or police officers will place a greater emphasis on the "martial" aspect rather than the "art." This is not to say that traditional Asian arts are less important; It may take longer to learn basic self defense this way as many Eastern arts are about developing more than just basic self-defense skills. If you are willing to spend the time to fully train in many different styles you will ultimately learn to defend yourself much better than if you train at a mixed martial art school. But if your sole concern is martial efficacy and the ability to defend yourself 'on the street', the physical and mental effort required to develop those skills have to be weighed up against the effort required to purchase a can of Mace or become proficient with a small, legally obtained, manageable weapon. 7. Decide when to join. Sit in as a polite observer before joining a class, if you wish, although for some it is better to just jump straight in there, choose what works best for you. 8. Decide whether or not the teaching style suits your personality. If you are looking to learn practical martial arts, does the class encourage or allow beginners to get involved in sparring or "free-play" or is this reserved for more advanced students who have spent more time and money at the dojo? 9. Take note of the students at your school, and the way they interact with each other and their seniors. Are they friendly and receptive? Are they respectful? Would you consider them to be friends? You're going to be spending significant amounts of time with them, so it is important to understand their personality, as well. You'll also be putting your safety in their hands; if that makes you uncomfortable, keep looking. 11. Set aside a significant amount of time each week to dedicate to your training. Most arts have exercises or forms you can practice at home to keep it all fresh in your mind; if you only practice at class, your progress will probably be stunted. "We come to class to learn. We train at home." Rather than focusing on a specific art, it may be better to find the best teacher in your area, and study whatever he or she is teaching. As the months go by, the frustration of long travel times to and from class can lead to quitting early. Understand that arts established in modern times and founded by one person (e.g. Aikido, Judo) will have a more consistent curriculum than older arts practiced by multiple teachers (e.g. Karate, Wushu, Tai Chi). If you plan to travel, move around, or would like to practice in different cities, take this into consideration. A black belt in one Karate school is not necessarily recognized by another, even within the same styles (e.g. Shotokan, Wado-Ryu, Goju-Ryu), because of the art's eclectic tradition, but Judo groups usually follow the same training guidelines as its founder. Review the grading methods and fees involved in a school before joining. Most schools have adopted the Japanese black belt grading system (developed for Judo in the 1880s), but what's required to earn black belt can vary widely, and some schools can charge hundreds of dollars for black belt degrees. You need to decide whether or not it's worth it to you; remember, a black belt degree has no meaning outside the school that awarded it. If you have a third-degree black belt in a Shotokan Karate school and join a Goju-Ryu Karate school, you may be a white belt again, and will certainly have to start at a lower rank. Avoid schools that have advanced degree requirements that their own founders would not qualify for. The degree inflation that has developed since the 1960s is a result of egotism and commerce. For example, if it takes 30 years of training to earn the highest degree in the school, and yet the school's founder only trained directly under his or her teacher for 5 years, ask why. It could be that the founder trained 4 hours a day every day as a live-in disciple, and you only go to class 2 hours a week; or it could be that the school's teaching methods are inefficient. If you're learning a martial art for self defense, keep in mind that on the street no one cares what color your belt is. Schools that tout "we are a black belt school" or "black belt in 1 year" are just trying to sell you on a marketing idea. They are not actually interested in developing you as a martial artist. When you shop around for a martial art school, go to the advanced classes to watch and watch the "top" students. How well do they fit into the goals that you have for learning martial arts? If you don't like how the "top" students have turned out, find another school. Be aware that some martial arts styles encompass concepts and practices involving the body's energy, called "ch'i" (also spelled "qi", both pronounced: CHEE), or "ki" (KEY) in Japanese. Examples may include using your body's energy to heal or protect yourself, or to blend with an attacker's energy to overcome or control him. If such concepts raise concerns involving your personal spirituality, you may wish to find another style. Learn the vocabulary of your art. Keep in mind that many arts use the word "karate" as a generic term, when among martial artists it refers specifically to an empty-handed art of self-defense which developed in Okinawa, Japan in the 1300s and became a sport in mainland Japan in the 1930s and it can be offensive to some martial artists to call their art "karate" because you don't have to work for 10+ years to get a black belt. Likewise "kung-fu" (or gongfu) is a generic term for "training" or "hard work," and does not itself define a Chinese style, such as Wuzuquan, Hung Gar, or Choy Li Fut. If you are really interested in martial arts to defend yourself, take an art specifically designed to do so such as American Kenpo Karate, Hapkido, Aikido, Brazilian Jiu-Jitsu, Jeet Kune Do, Ninjutsu or Muay Thai. Sport-based Karate, kickboxing and Tae Kwon Do focus more on earning points in competition- if and when a fight goes to the ground, which happens quite often, you will have hardly any training or none at all with which to defend yourself. Remember that there are no superior martial arts, just superior martial artists. All arts have strengths and weaknesses. All arts deal with the human body, with two legs and two arms, and most arts have figured out how to use this form well. If possible, watch a test at the school you are interested in studying at, so that you understand what the requirements really are. While some schools require their students to work hard to earn each rank, other schools may give a student rank whether they have really earned it or not, because schools make money by testing students and keeping them in the program. If you want to feel like you've earned your rank, avoid these schools, because even if you worked hard and mastered the techniques at a particular level, the person next to you can wear the same belt and not know much more than when they started. If you are on a tight budget, check with the nearest college or university or recreation department. Depending on whether they can use school facilities, and whether the instructors volunteer or are paid, student martial arts clubs may charge lower or no fees, and you may not have to be a student at their school in order to participate. Another good way to save money is to look for classes that do not operate out of a storefront. There are many successful schools that operate in community centers, church basements, YMCA's and recreation halls. Just because a school does not have a fancy storefront does not mean the quality of instruction is inferior. Many martial arts instructors do not understand the minute aspects of form that prevent people from injuring themselves while executing a high number of repetitions of a single technique. Because of this, practitioners of such arts tend to be young. If you do not want to destroy your body as you train, do inquire as to how long practitioners usually train for. Martial arts teachers are not necessarily sports physiologists or trained educators. If some form of training keeps injuring you and the teacher will not modify it to suit your body, quit the class. If you're not able to understand or learn at a reasonable pace, find a new teacher. Even a great teacher is not necessarily the best teacher for every student. Martial Sports (e.g. Olympic TaeKwonDo, Japanese Karate, Wushu, and Judo) have a higher injury rate than traditional or self-defense martial arts (e.g. Traditional TaeKwonDo, Aikido, Tai Chi, Okinawan Karate, Tang Soo Do). 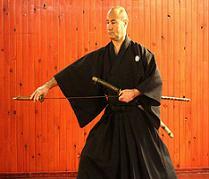 It is common for people to practice Martial Sports in their teens and early twenties, then shift to traditional arts. Teachers may insist on being called sensei or sifu or master, according to their training and school's tradition. It may be sufficient in some schools to call the teacher Mr./Mrs. So-and-so or Sir/Ma'm, as with any teacher in any class. 'Sensei' is a term of high respect in Japan (similar to "Dr." in the US), and roughly translates to "honored teacher" (or more literally 'someone who has gone before' as in a more experienced person) in Japanese. If the teacher deserves your respect, by all means use the title he/she prefers. Using it also shows respect for the school's customs. If you feel the teacher does not deserve the respect the title implies, choose another school. Never teach your own art in another teacher's school unless you are sufficiently advanced and the teacher asks you to do so. If you're there as a student, act as a student. That's just good manners. All schools have a very individual culture; when starting out at a new school, take the time to learn the etiquette for that particular school. Be aware of cult like schools or schools that forbid you from taking additional classes at other schools. Many false schools will pretend that they have secrets or secret techniques. Be cautious of "hidden" fees. Ask about costs other then membership fees. Some schools will charge extra money for tests and training beyond the regular classes. Watch out for schools that will only allow you to purchase supplies from them directly. Some schools use this as a way to sell you inferior quality products at high markup prices. Some schools will allow you the option to buy directly through them or to buy from another source. Be sure you are not being ripped off.